Peppermint, one of Europe's oldest herbs, has been used for digestion and stomach pain for many years. Peppermint oil is comprised of menthol and menthone. Peppermint acts as a carminative, which means it may relieve gas. 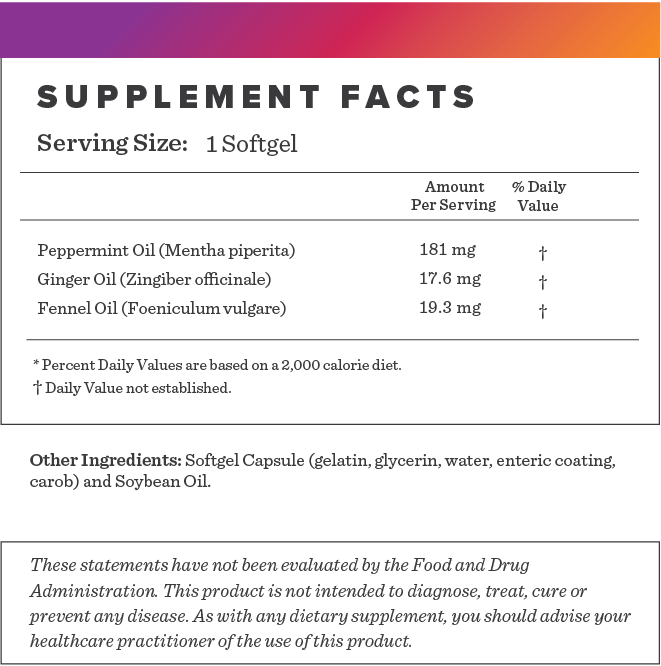 Our Peppermint Plus includes ginger and fennel which have been shown to soothe the digestive tract. Our Peppermint Oil Plus gels are enteric coated which allows them pass through the stomach to the intestine to help provide relief from GI upset, cramps and digestive discomfort. Peppermint, ginger and fennel may stimulate digestion to calm the digestive tract and relieve nausea. 1. Cash BD, Epstein MS, Shah SM. A Novel Delivery System of Peppermint Oil Is an Effective Therapy for Irritable Bowel Syndrome Symptoms. Dig Dis Sci. 2016;61(2):560-71. 2. Freise J, Köhler S. [Peppermint oil-caraway oil fixed combination in non-ulcer dyspepsia--comparison of the effects of enteric preparations]. Pharmazie. 1999;54(3):210-5. 3. Ernst E, Pittler MH. Efficacy of ginger for nausea and vomiting: a systematic review of randomized clinical trials. Br J Anaesth. 2000;84(3):367-71. 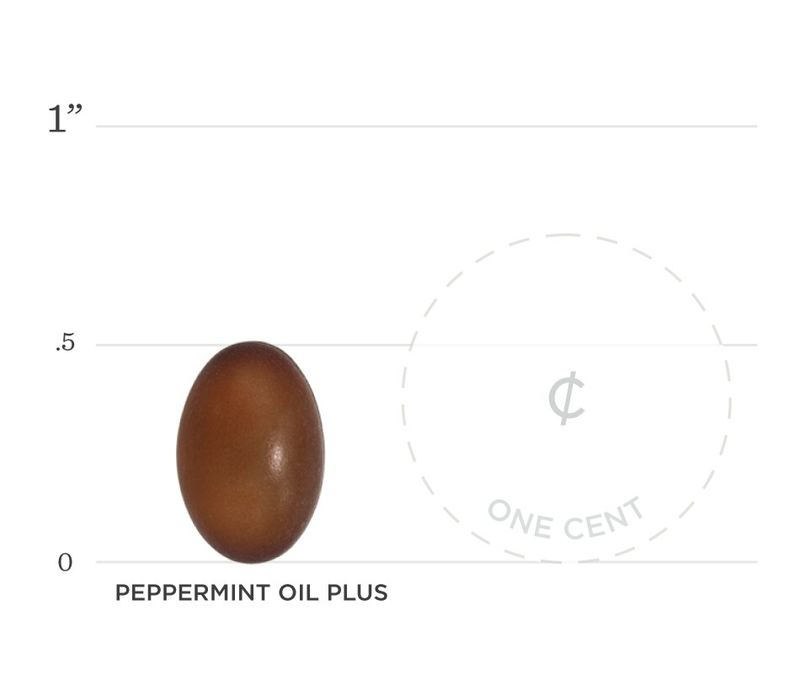 Below we've broken down the main functions of our Peppermint Oil Plus and the benefits it can provide. Those who supplemented with peppermint oil experienced greater improvement in multiple individual gastrointestinal symptoms. Studies have suggested peppermint oil as a therapeutic agent to help reduce the severity of pain associated with digestive conditions. Ginger has been shown to alleviate nausea in multiple studies (3).